Noxious weeds are plant species that are designated as "noxious weeds" in the Alberta weed regulation. Noxious weeds must be controlled, meaning their growth or spread needs to be prevented. Great burdock originates from the temperate regions in Europe. 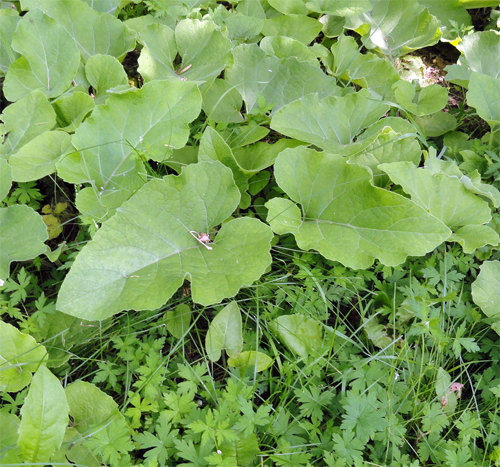 In the Middle Ages, it was favoured as a vegetable and the roots are still commonly used in Asian cooking. It can also be found in a variety of herbal supplements. This species can rapidly spread through the dispersal of its burred fruits when they attach themselves to clothing and animal fur. These burrs can cause eye, nose, and mouth injuries to livestock. There have even been reported cases of birds and bats becoming entangled in the burrs. The leaves are large and tend to shade out nearby native plants, thus reducing biodiversity. Great burdock’s 25-45 mm wide flower heads grow in clusters, are pink-purple in colour, and have long hooked bracts. The flower heads sit on 3-10 cm long stalks. The leaves are heart-shaped, green on the upper side and white on the underside, and are alternately arranged along the stem. The leaf stalks are solid. 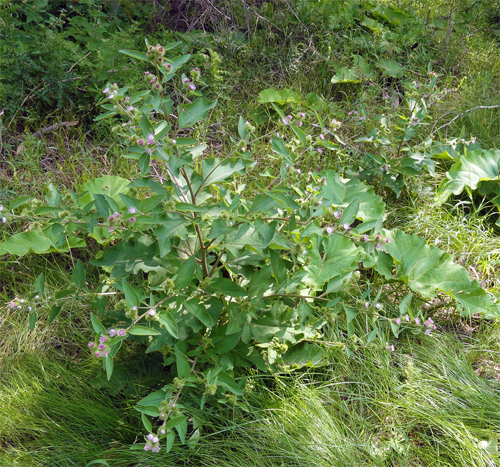 Found in disturbed areas, great burdock can grow as large as 3 m tall. These plants produce large, brown fruits with hooked barbs. 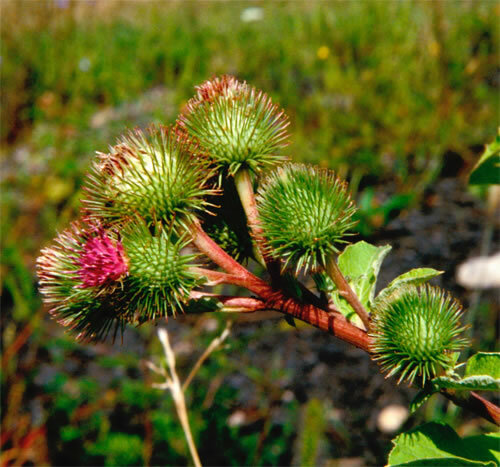 Burdock was the inspiration for Velcro in the early 1940s.